Data scientists who want to build machine learning models and put them into production have no shortage of available tools. The market for machine learning platforms is heating up, and all of the leading vendors are looking to nab their share. Analyst firm Forrester expects this market to grow at a rate of 15% annually through 2021. Several vendors have beefed up their offerings in recent months and now offer simple, cloud-based platforms for getting started with machine learning and developing models that can quickly be put into production. We want to provide the best tool for News Automation, in order to provide a qualified newsfeed for our readers and best news selection services for our customers. 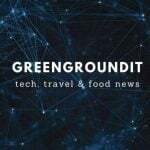 Greenground IT is a part of larger project in order to provide Digital Nomad & Executive Spin Doctor services to the Market.